NEW DELHI -- The death toll from a boiler explosion and subsequent fire at a packaging factory in Bangladesh over the weekend has risen to 31 after more bodies were found in the debris, an official said Monday. 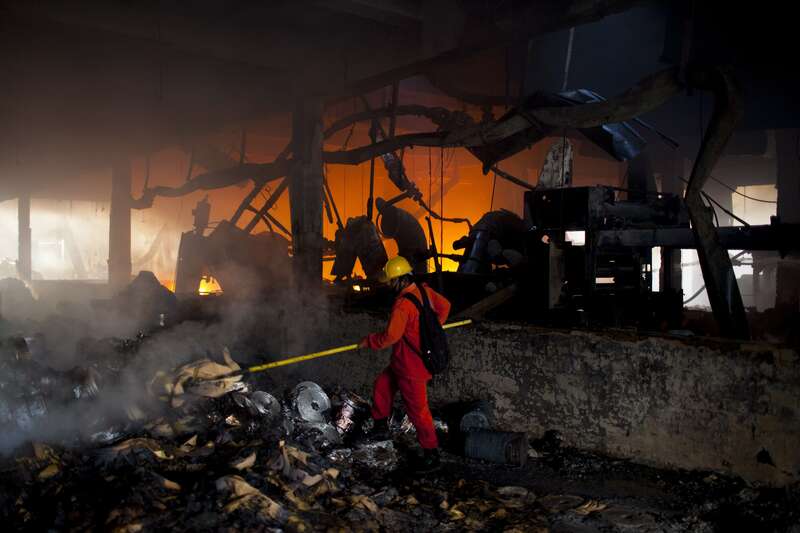 The huge blast early Saturday at the Tampaco Foils Ltd. factory outside the capital, Dhaka, triggered a massive blaze that spread quickly at the plant, where flammable chemicals were stored. Twenty-three workers died immediately. Six more bodies were recovered Sunday evening, and two others were found overnight as firefighters cleared the debris, said local chief administrator S.A. Alam. At least eight workers were still missing Monday, Alam said, adding that the search for bodies would continue while authorities try to determine what caused the explosion. Saturday was the last working day at the factory before the workers were to go on leave for a weeklong holiday for the Islamic festival of Eid al-Adha, which falls on Tuesday. The workers who died were nearing the end of their overnight shift when the explosion took place at around 6 a.m.
Thirteen people are being treated for burn injuries at the Dhaka Medical College and Hospital, including six in critical condition, Mohammed Bacchu Mia, a police officer at the hospital, said Monday. Anxious relatives crowded the hospital Monday looking for their family members. Rajesh Babu, who worked as a cleaner at the factory, has not been seen since Saturday, said his mother, Mina Rani Dey. Factory safety is a major concern in Bangladesh, which has thousands of garment and packaging factories that supply products to global chains like Wal-Mart and H&M. 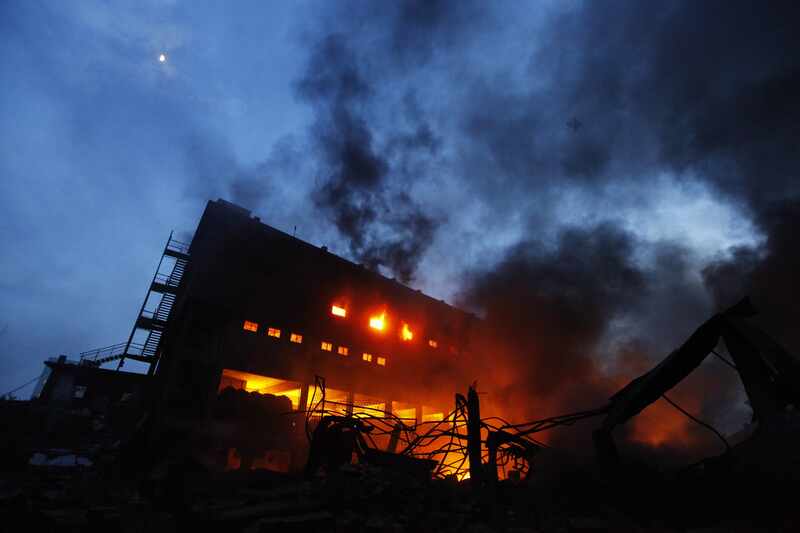 A fire at a garment factory in a Dhaka suburb killed 112 workers in 2012. In 2013, a commercial complex near Dhaka housing five garment factories collapsed, killing 1,135 people, Bangladesh's worst industrial disaster. Those two disasters prompted Bangladesh's government, global brands and the United Nations to work together to try to improve safety standards in the South Asian country's factories.